Arid lands could be broadly and simply defined as regions where evaporation exceeds precipitation. Generally speaking, arid lands cover 47% of Earth’s land surface. These include four categories according to their aridity index: hyperarid, arid, semiarid, and dry subhumid regions. At present, more than two-thirds of population inhabit arid and semiarid lands. Water resources in arid lands are scarce and are mainly underground water and rivers. 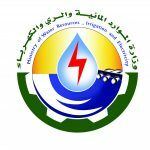 Other resources to be sought include desalinization of salt water, precipitation inducement, horizontal wells, exploitation of dew and fog, water harvesting, and the use of runoff water in irrigation. Challenges facing water managers in these areas include population growth, food security, salinity increases and pollution from various sources. Superimposed on these pressures, climate change is expected to increase water scarcity and the frequency of floods and droughts in many arid and semi-arid areas. Accurately assessing and managing the available and renewable water resources is more difficult in semi-arid regions, compared with water-rich countries; the science base is limited, data are scarce and humid zone experience is inappropriate. All of these challenges prompted UNESCO to establish Global Network for Water and Development Information in Arid lands (G-WADI). The G-WADI was established in 2004 by the international hydrological program (IHP) and it aims at strengthening the capacity to manage the water resources of arid and semi-arid areas by building an effective global community through integration of selected existing material from networks, centers, organizations and individuals. Furthermore it seeks to empower local initiatives, The Network promotes international and regional cooperation in these areas (G-WADI). The theme no3 of the framework of IHP-VIII (2014-2021) ‘Water Security: Addressing Local, Regional and Global Challenges’ is the Water Scarcity and Quality and Water Related Disasters and Hydrological Changes in which we can see the high importance role the G-WADI would play to achieve this goal, and one of the most techniques That to be having an immense impact and to be widely used on achieving this goal is the water harvesting, According to Studer and Liniger (2013): water harvesting is about collecting the runoff or groundwater from areas of excess or where it is not used, accumulate it and make it available, where and when there is water scarcity and by that it will make more water available for domestic, livestock and agricultural. Another factor that threads water security and raise the need of increasing the available water resources is the climate change and in its effect the Turral, et al. (2008) mentioned that: In response to global warming the rainfall will decrease in the semi-arid to arid mid-latitudes and in the interior of large continents. Water-scarce areas of the world will generally become drier and hotter. The global network have been divided to Technical Secretariats International Center for Integrated Water Resources Management (ICIWaRM), Asian, G-WADI, Arab G-WADI, Latin American G-WADI, and Europe G-WADI & African G-WADI. Use of Isotopes and Tracers for Water Resources Management in Arid and Semi Arid Area. Challenges and Limitations of Hydroclimatological Forecasting for Water Resources Management in Arid and Semi-Arid Areas and Future Prospects. Global Impacts on Water Resources in Arid and Semi-Arid Areas and Adaptive Measures . Water Efficiency and Accounting in Arid and Semi Arid Areas. Panel Discussion on :Tools and Methodologies to Address Water Resources Management Challenges in Arid and Semi-Arid Areas .